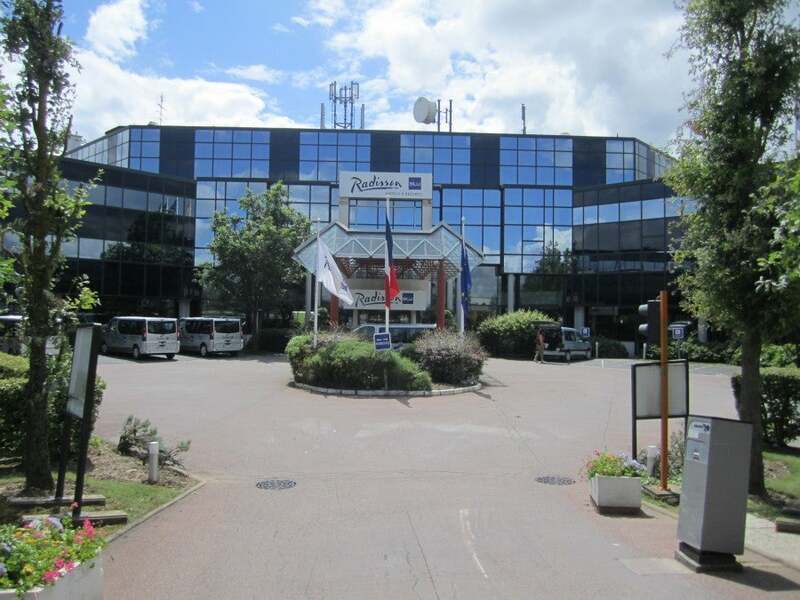 I spent a night at this Radisson Blu at Charles de Gaulle outside Paris to score my 50,000 Club Carlson points from the Big Night Giveaway. 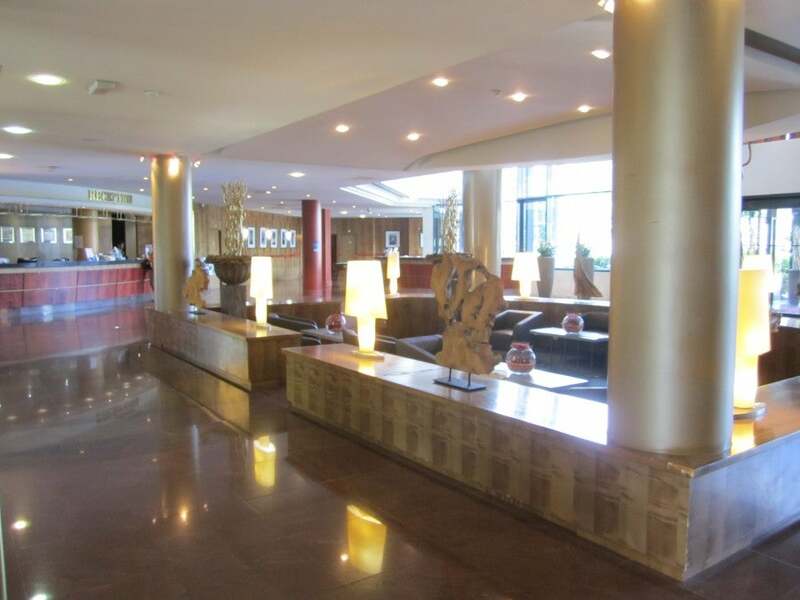 Like many readers, back in May I got in on Club Carlson’s “Big Night Giveaway” where, when you registered starting for the promotion and stayed at a Radisson or Radisson Blu property for a night by July 15, 2012, you would receive a bonus 50,000 Club Carlson Gold Points. I was in Paris the first week in July and figured I’d spend a night there checking out a Radisson Blu property and sneak in under the deadline to earn those 50,000 bonus points. 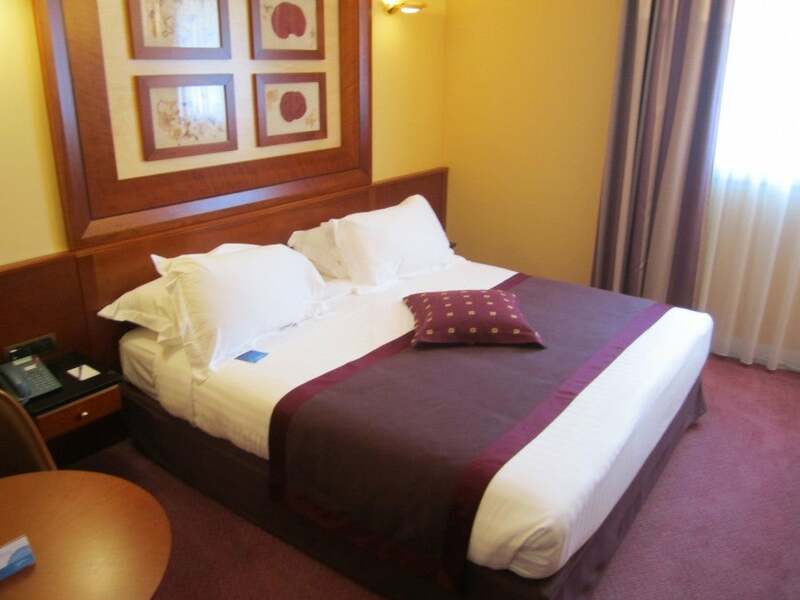 The Radisson Blu properties in central Paris – Le Metropolitan, Le Dokhan’s and the Ambassador – were all running fairly high mid-summer rates. I also had a very early flight to catch out of Charles de Gaulle my last day there, so I decided to stay at the Radisson Blu Charles de Gaulle, figuring that, although it would mean not spending my final night in the city itself, it would make it easier to catch my plane the next morning. It seemed like an even better idea once I scored a rate of 97.75 euros ($120) for my one night. 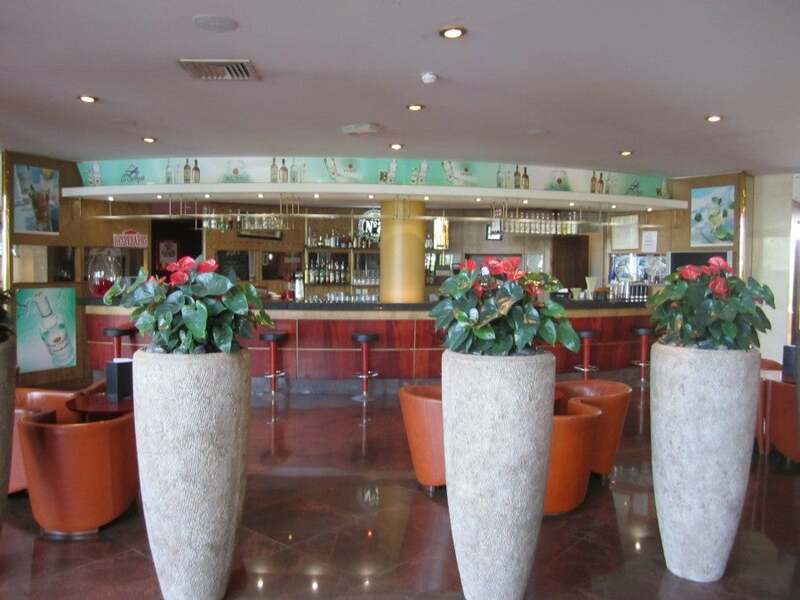 The hotel’s lobby bar, Le Cockpit. I was able to take the Air France bus from central Paris out to Terminal 2 at Charles de Gaulle where I climbed up to the roadway on the fifth level to wait for the hotel shuttle, which only runs at 30-minute intervals during the day (15 minutes during morning and evening rush hour). When it finally came, it took about 10 minutes to go from the airport to the hotel. Another shot of the lobby. Based on what I’d seen of other Radisson Blu’s, which seem to be chic boutique-style hotels, what I was expecting was quite different than what I got. When we rolled up to the hotel, it looked like a relic from the ’80’s, and the lobby wasn’t much better. I was able to check in early, so that was nice, and I got there right before a tour bus dropped off a ton of other travelers, so I headed right up to my room. The hallways were a little bleak and aged, with that musty smell of ancient smoke and cleaning supplies old hotels have. The room, unfortunately, was not much better, though it was spacious enough. The room’s king-size bed – the furnishings all seemed a bit old and faded. It had a king-size bed with two nightstands, a flatscreen TV, a work desk, a small breakfast table and a minibar. The one thing I did appreciate was the free, fast WiFi, a Radisson Blu standard amenity, so I could at least get a lot of work done while I was at the hotel, and I even took my computer down to the hotel’s restaurant, Le Terminal 4, to keep working while I had a quick lunch. 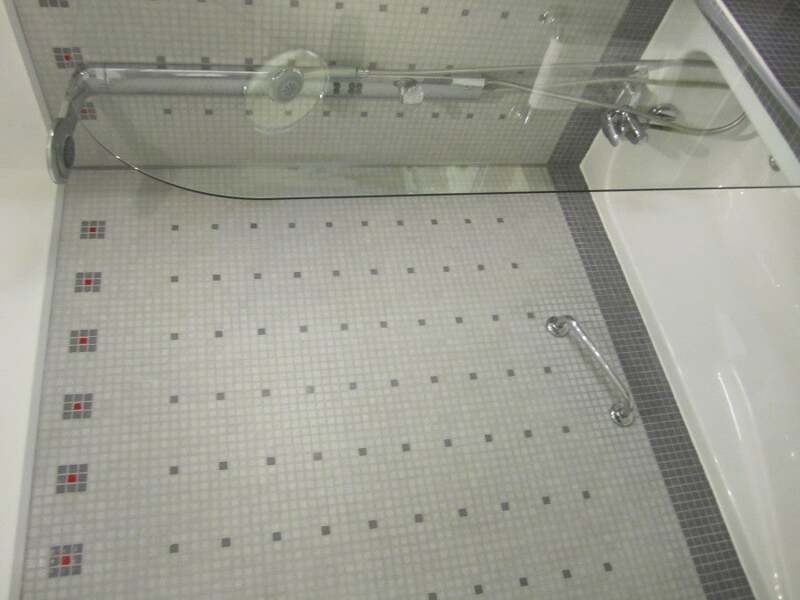 The tiled bathroom (check out the 80’s-style pattern) had a single sink and a shower-tub combo that was decent, though the showerhead shot water all over the place and probably needs to be replaced. True to French style, the WC was separate. 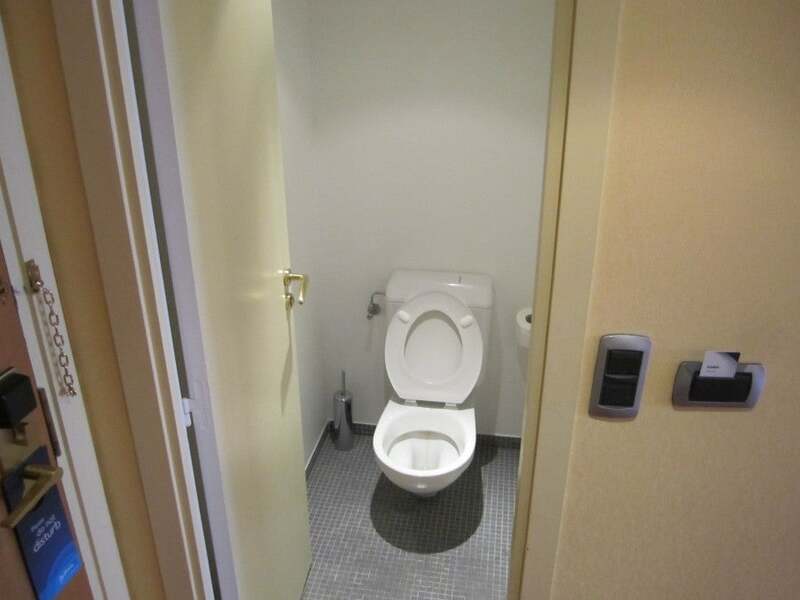 The separate WC – very French. Luckily, I had to head back into the city for dinner that evening, so I caught the shuttle back to CDG, took the RER in and had dinner in the city before heading back out to the airport. 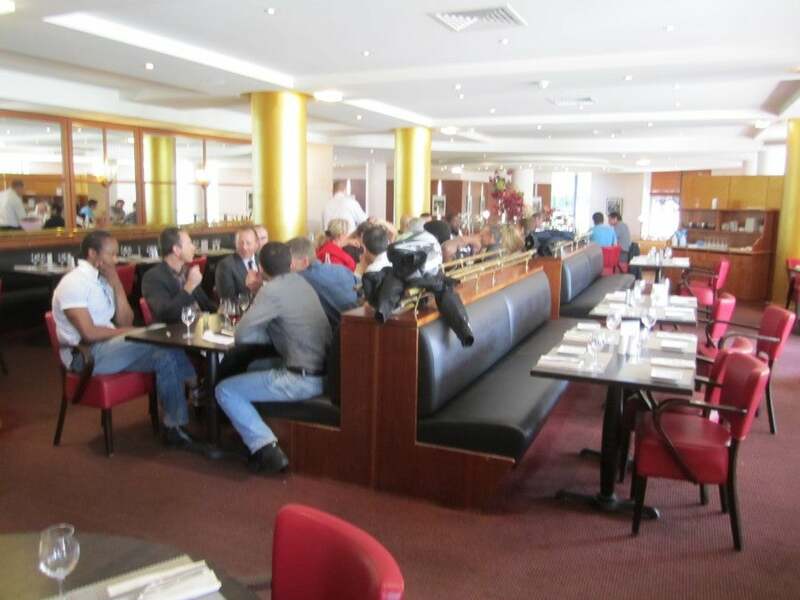 The hotel’s Terminal 4 restaurant. My flight the following morning was actually departing from CDG Terminal 1, the retro-futuristic terminal that’s a good 5-10 minute drive from the main Terminal 2. However, the hotel’s shuttle only went to Terminal 2 and from there I’d have to trek down into the terminal to catch the CDGVAL train between terminals. All in all, I was probably looking at a 45 minute ride to the airport. Instead, I decided to arrange for a taxi the night before and spend 10-15 euros extra on the fare so I could catch a little more sleep. I checked out the following morning without a hitch, but my taxi, which was supposed to come at 7:15, didn’t show up until almost 7:45, making me pretty nervous that I might not be able to check into my flight on time. The hotel offered no explanation, and I had to ask the receptionist several times before she agreed to call the taxi company to ask where the car was. They said the driver would be there in 5 minutes. 15 minutes later, still no driver. The receptionist again assured me that it would probably be there shortly, but I had to goad her into calling the taxi company again, which she finally did. The car was just pulling up, she said. Only problem was that 2 huge tour buses were also pulling up. I could see the taxi at the hotel’s driveway gate, so I just decided to walk through the parking lot up the small hill and out onto the road so we wouldn’t get stuck behind the tour buses. I asked where he’d been, but was offered no explanation, and then to add insult to injury, I’d been charged for his drive out to the hotel as well! So my 10 euro fare ended up being over 20 euros. I wondered whether the extra sleep had been worth it after all – and this just confirmed what I already thought: that Paris is a horrible city for taxis. 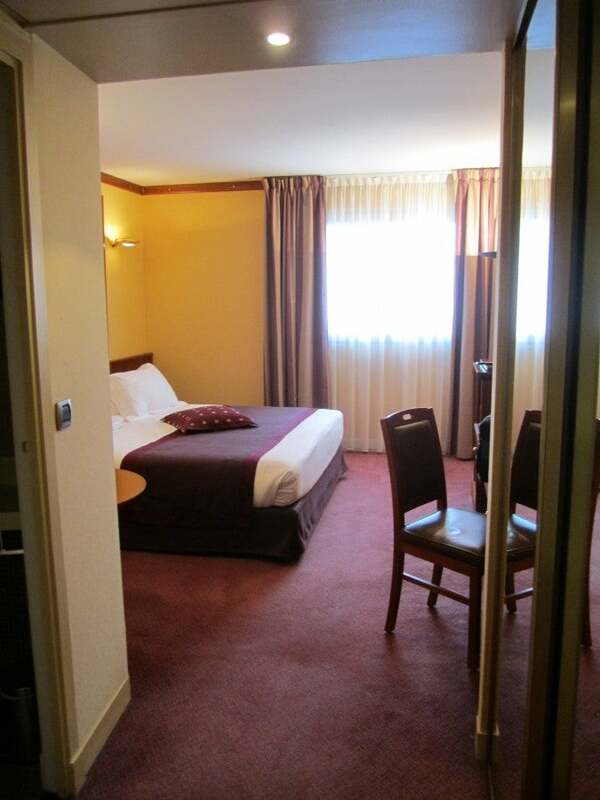 Next time I have to stay out at CDG, I plan on spending the night at the Sheraton which is right next to Terminal 2 and a lot more convenient – I’ve been there before and liked it, so I’d stay there again. The good news is, that after the lackluster hotel experience, I didn’t have long to wait for those 50,000 bonus points to show up in my Club Carlson account. Along with the points I’d earned from my stay, they were deposited within a week or so. As you can see from the final tally, I earned 2,242 points from the hotel rate itself and another 92 points for the bottled water I drank from the minibar (20 points per $1), an online booking bonus of 1,000 points, a Welcome Next Stay bonus of 2,000 points, and finally, the 50,000-point Big Night Giveaway bonus for a grand total of 55,334 points. All for spending about $120 – about 0.2 cents per point. So I missed out on an extra 2,500 points on this stay, unfortunately, but I’ll be sure to correct that before my next Carlson stay. After this experience I was hesitant to stay at another Radisson Blu, but I’m happy to report that I just had a much better experience at the one in Copenhagen, which I’ll be reporting on in a future post, so now I’m excited again to use my 50,000 bonus points to check out another Radisson Blu property.